Adventus’ MusIQ HomeSchool software received 2008 Preferred Choice Awards in the Educational CD-ROM category for both Children’s Music Journey™ (Volume 1) and Children’s Music Journey™ (Volume 2). 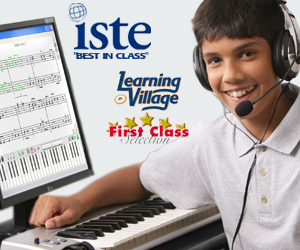 The programs are both integral components of the MusIQ HomeSchool solution. Creative Child Magazine is a national publication that provides parents with the latest information on how to nurture their child’s creativity. The Creative Child Magazine’s Awards Program is unique in that all products submitted are reviewed by a panel of evaluators comprised of music educators, early education professionals and parents.